Meryl Streep is thanked more than God. Adrien Brody kissed Halle Berry that one time. 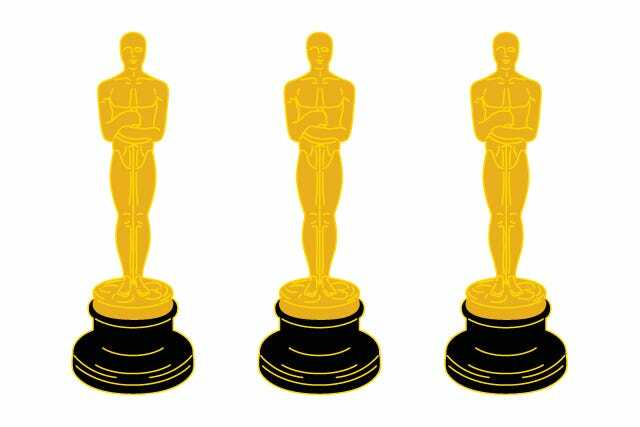 These are the standard trivia trotted out year after year around awards season, and while the greatest Oscar moments are popular for a reason, we tend to think there are a lot more memories that might get left out. This is a list of lesser-known speeches from Academy Awards past. Some of them are just cute little bits of fluffy joy; others are speeches that were groundbreaking in their day, but somehow don't get talked about much anymore. Read on if you're looking for something new to buzz about before the show this Sunday. Pro tip: Use the "say what's in my heart" gag the next time you're trying to seriously annoy your significant other. Brando made a lot of strong political statements in his time, and this was one of the most controversial. It's hard to imagine anything like this happening at the Oscars now. A lot of really powerful movies win Oscars, but with the fanfare of red carpets and the pressure to thank anyone and everyone, the message can sometimes get left out. Attenborough made sure it didn't. She is the coolest. Seriously, McDormand is definitely in the top 10 female celebrities we want to hang out with. If you watched this particular Awards ceremony, you couldn't possibly forget what is one of our favorite acceptance speeches of all time. She could've just stood up there in all her glittering glory, without saying a word, and we wouldn't have complained. As we all know, a lot of progress has been made on the LGBTQ rights front since Philadelphia came out. Hanks' tearful speech was a mark of how monumental this movie was, and showcases the bravery of everyone who worked to tell this story. Almodóvar has never, ever been one for pleasantries or skirting controversy. This speech was all the more relevant for the fact that it came just days after the U.S. invasion of Iraq. A bold move. For the record, we would love to see some photos of her singing with a shampoo bottle as a kid. Can you even with this guy? We've said it before and we'll say it again: The more impromptu musical numbers during the Oscars, the better.